In the first of a new series of blogs, we will be hearing from headteachers about their views on educational neuroscience. First up is Steve Baker, Principal of the Aspire Schools Federation and Member of the Learnus Advisory Group. Educational neuroscience is about developing a better understanding of the development of the brain, and its plasticity, and the underlying mechanisms that shape our cognition and behaviours. I once heard a professor of psychiatry suggest that trying to understand learning through neuroscience is like trying to understand the plot of East Enders by taking the back off your television set. I wholeheartedly disagree and believe that although the field of educational neuroscience is relatively new, medical advances and ongoing research will allow us the opportunity to better understand how we can develop our brains, and ultimately shape our understanding of how we learn. We are very fortunate to have been working with Dr Alice Jones Bartoli for a number of years. Alice is the Director of Unit for School and Family Studies at Goldsmiths, University of London, and is also a member of the Learnus Council; she has supported our efforts to focus on a non-confrontational approach to behaviour modification at my secondary setting, Kilgarth School, which supports young men with Social, Emotional and Mental Health (SEMH) difficulties. We are also currently working with a clinical psychologist who is undertaking research into the role of limited prosocial emotions on responsiveness to punishment (and reward), and the mediating role of emotional memory in children and young people. At Gilbrook School (my primary SEMH setting) we are supporting the research of a member of staff with a background in psychology. 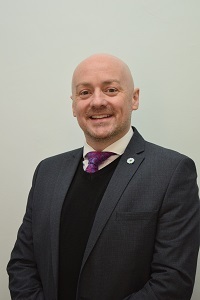 He is undertaking an MSc in Children and Young People’s Mental Health and Psychological Practice and his latest literature review has focused on attachment in infancy and developmental well-being. We have been focusing on developing the use of outdoor space to promote positive mental health and resilience in our children; in May we were used as a best practice case study by the Department for Education for our outstanding mental health work. We are also currently liaising with Professor Francis McGlone’s team at the University of Liverpool, who are investigating the importance of affective touch in the development of the social brain. How do you get people involved? We have a relatively small number of staff, yet in the last three years we have supported members of the team to undertake further learning and research at both a Master’s and Doctorate level and we use research opportunities to engage staff and support their professional development. There are a number of key areas of research that I believe would be of huge benefit, including developing our understanding of growth mindsets, mindfulness and how to promote and incentivise good behaviour, instead of using punishment. Indeed, research has shown the importance of developing non-cognitive skills in order to achieve educational success. There also needs to be a clear drive to ensure that research is made accessible to members of the teaching profession; workload and stress are key issues affecting the profession and we are constantly inundated with new education “silver bullets” and fads.